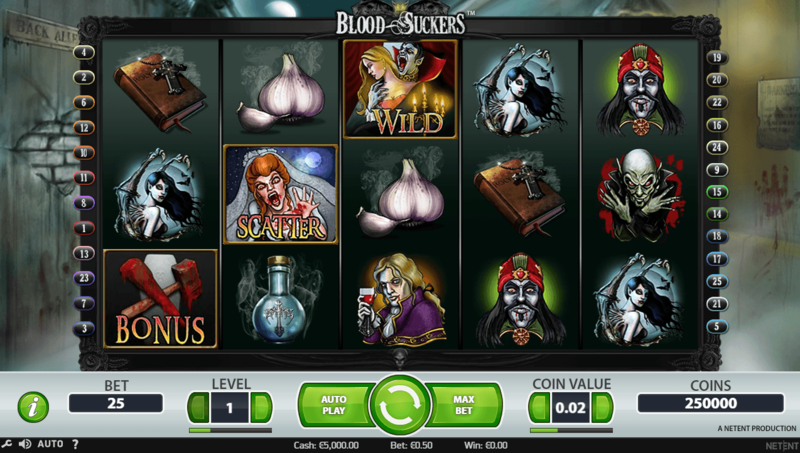 The well-known blood suckers can be your friends when they appear in online slots which is why many players love vampire slots more than any other theme. 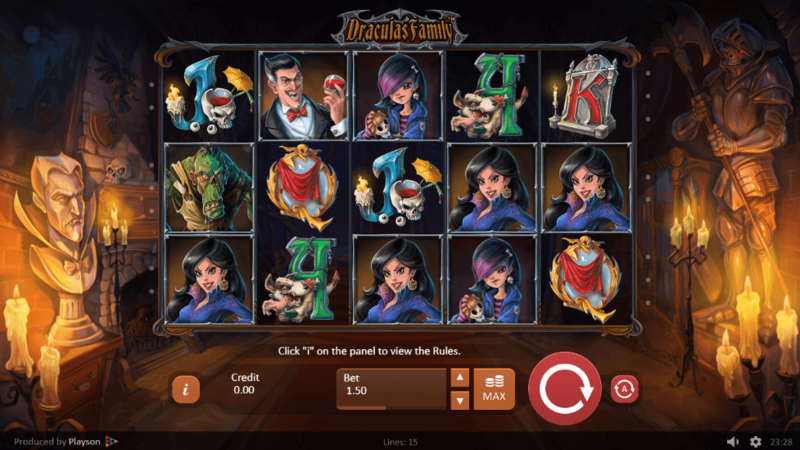 But as there are hundreds of them available today, we decided to answer your question of what vampire slots are the best in terms of their features, graphics, rewards, and entertainment. In creating this list of top 5 vampire-themed slots we have also taken into consideration the user reviews we have gathered. This list may help you in deciding your favourite slot machines but we invite you to send us your feedback so that it would help us in creating other “top 5” lists. 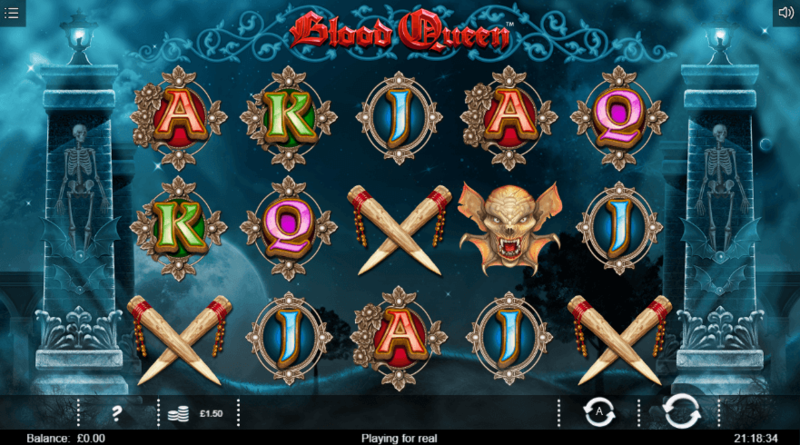 Select either the Blood Queen slot or Van Hell that come with different features before you spin the reels of this slot machine with an RTP of 96.02%. There is a Wild Reel that may appear on more than 1 reel in order to award you greater chances of a win. The Scatter awards you up to 50 Free Spins which will come with different Wild Features according to your initial selection of Blood Queen or Van Hell game modes. Expanding Wild or Shifting Wild, they will make sure that you exit the Bonus Rounds as a winner. The RTP of 98% is the headline of this 5 reel video slot machine inspired by the Twilight Saga. It has 25 generous paylines and you can bet up to a maximum stake of £50. The Wild symbol carries a prize of 7500 coins when you land 5 of them. Blood Suckers slot game has Free Spins that pay your winnings 3x while the maximum winning in the Bonus game could go up to a massive 178 times. This game well deserves to be in in our list of Best Vampire Themed Slot Machines. The beautiful family online slot welcomes you to their family for an entertaining evening, and when you go back home you will be richer. There are 5 reels and 15 paylines that reward you at an RTP of 95.55%. There are 15 Free Spins that come with a choice of features to be selected. It could be a Wild, a 5x multiplier, a Progressive Wild, or the Eternal Love symbols that bring you luck, but you will be a winner no matter what you choose. 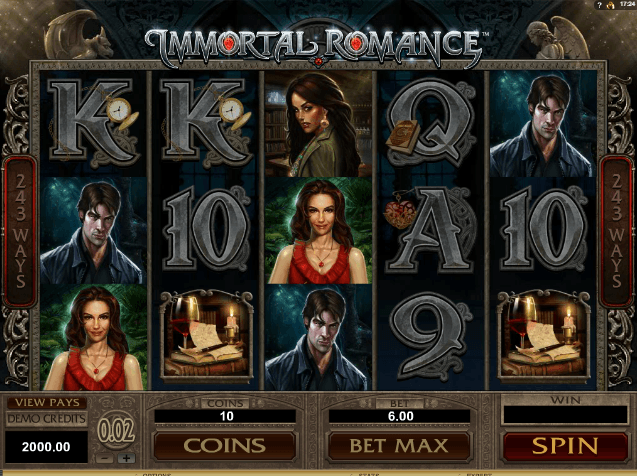 A 5 reel slot machine with 243 ways to win at an RTP of 96.86%, Immortal Romance UK slot is all about Michael, Amber, Sarah and Troy. You can bet from £0.30 up to £300 depending on how big you want to play, and a maximum jackpot of 3,645,000 coins could be yours if it is your lucky day. The Bonus Game comes in 4 levels, the first of which is 10 Free Spins with a 5x multiplier. At the next level Vampire Bats enter the scene, which leads to the final level of 25 Free Spins that come with Wild Vines. Features and rewards make this game the popular choice it is. This game has impressive graphics that attract players but there are generous features that would be impressive too. 5 reels and 25 paylines at an RTP of 95.55% makes up the layout and design while Free Spins are the Bonus round. You could win a jackpot of 7500x if your luck is at its peak, but the average prize will not disappoint you either. The entertainment and features the Dark Thirst slot carries are the main reasons why we placed this in our list of Best Vampire Themed Slot Machines.